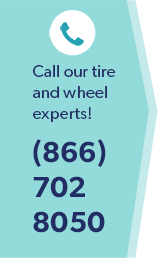 While tire purchases in Burke, VA are unavoidable for any vehicle owner, there are some things you can do to prolong the life of those four round rubber things that spin around and around to make your vehicle move. Why is Tire Pressure is Important? Most damage and wear to tires come from driving with improperly inflated tires. Without properly inflated tires, you could spend more money than necessary in tires during the life of your vehicle. Properly inflated tires can improve your fuel economy by 3.3 percent. Under-inflated tires will wear unevenly and can lead to an accident. While driving down a straight and level road, check to see if your car pulls to one side or the other. If the center section of your tread is smooth, your tires may be over-inflated. If the outer edges of your tread are worn or rounded, your tires may be under-inflated. Squealing sound when turning a corner at normal speeds could be an indication of improperly inflated tires. Uneven tread wear may indicate a poor wheel alignment. Look for cracks in the sidewall or foreign objects embedded in the tire such as screws or nails. Check the depth of tread using a penny, called the “penny test.” Place a penny with President Lincoln’s hair downward between the grooves of the tread at the top of the tire. If part of his head can be seen, you have the legal amount of tread remaining on your tires. Check the depth of the tire tread in several places on each tire. If you see Abe’s full head in some areas, you are looking to purchase a new set of tires from a tire dealer in Burke, VA. Check your tire pressure regularly using an air pressure gauge. These are inexpensive and are available at any auto parts stores, gas stations, and any tire section of your local department stores in Burke, VA. Proper tire care is important for the life of your tires. Poor tire tread causes your vehicle to respond poorly to adverse weather conditions such as rain or snow. Good tires will grip the road better. Worn tread can also make other parts of your car wear prematurely.